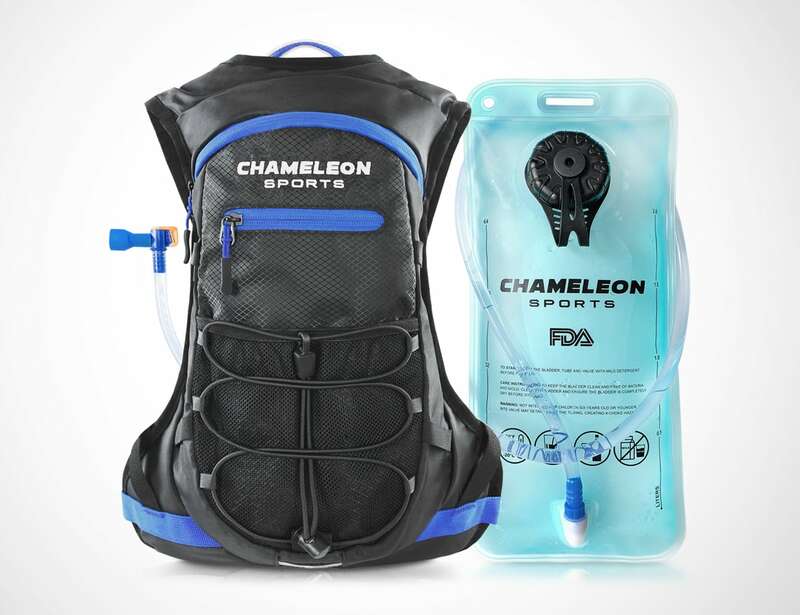 Easily stay hydrated during your outdoor activities with the Chameleon Sports Lightweight Hydration Backpack. 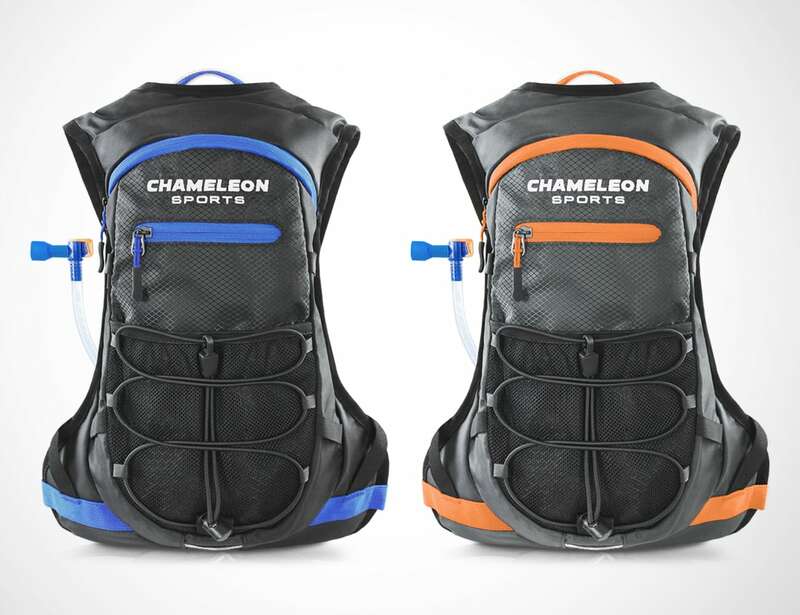 Easily stay hydrated during your outdoor activities with the Chameleon Sports Lightweight Hydration Backpack. 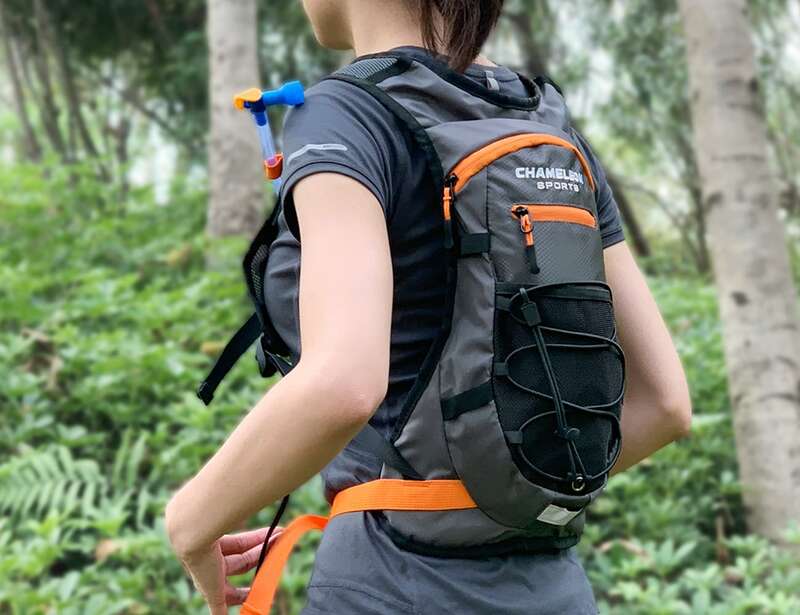 This sports pack comes with a hydration bladder that holds up to two liters of drinking water while you are on the move. 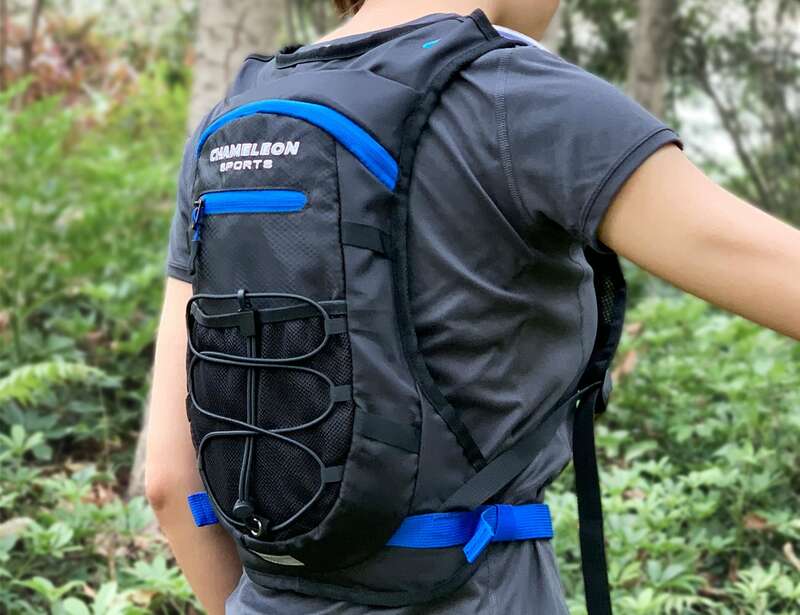 Designed for comfort, this feather-light pack weights only 14 ounces, making it barely noticeable on your back. 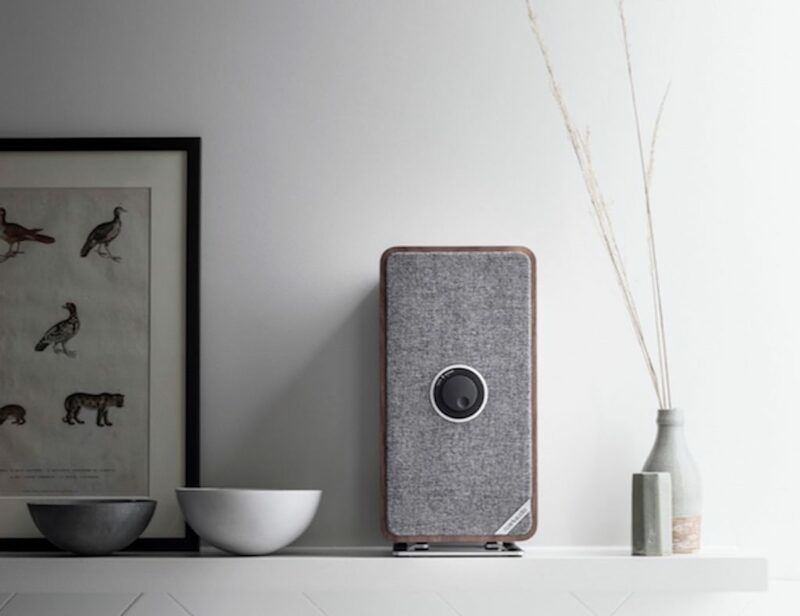 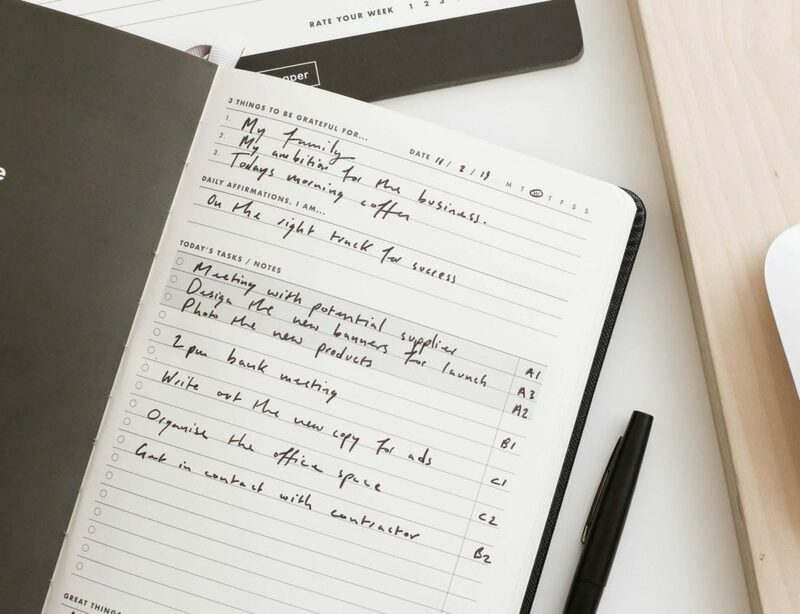 The clever design actually prevents the backpack from bouncing around while you’re on the go. 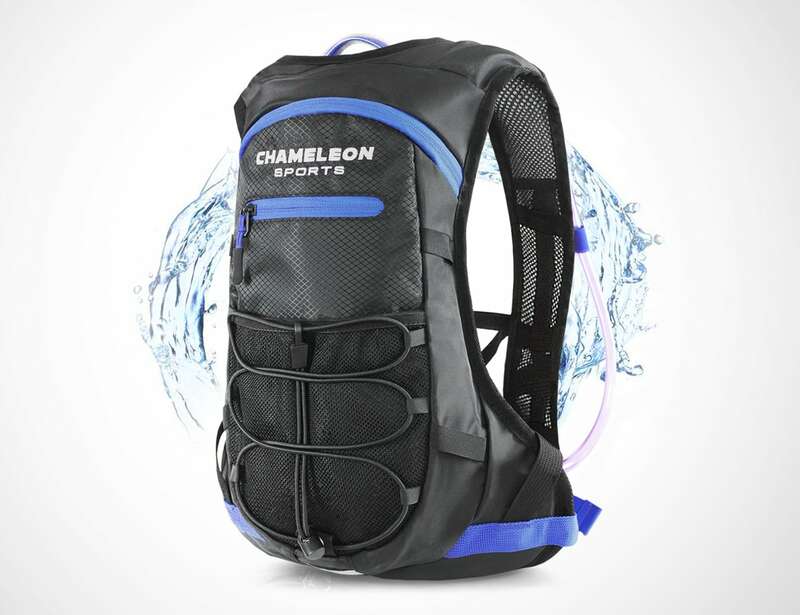 The backpack is made with 420D ripstop polyester which means it’s super durable and also water resistant. 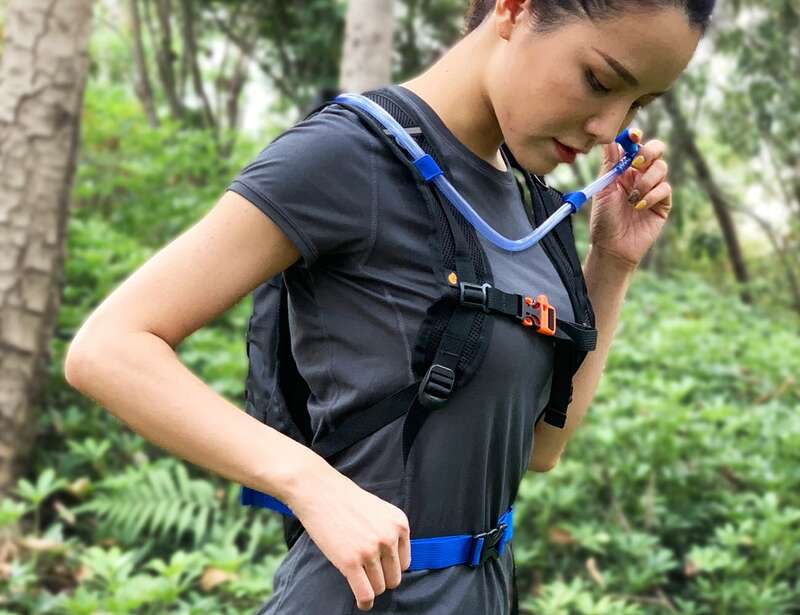 On the other hand, the water bladder uses a combination of military grade materials and over-engineered sealing design to make it totally leakproof. 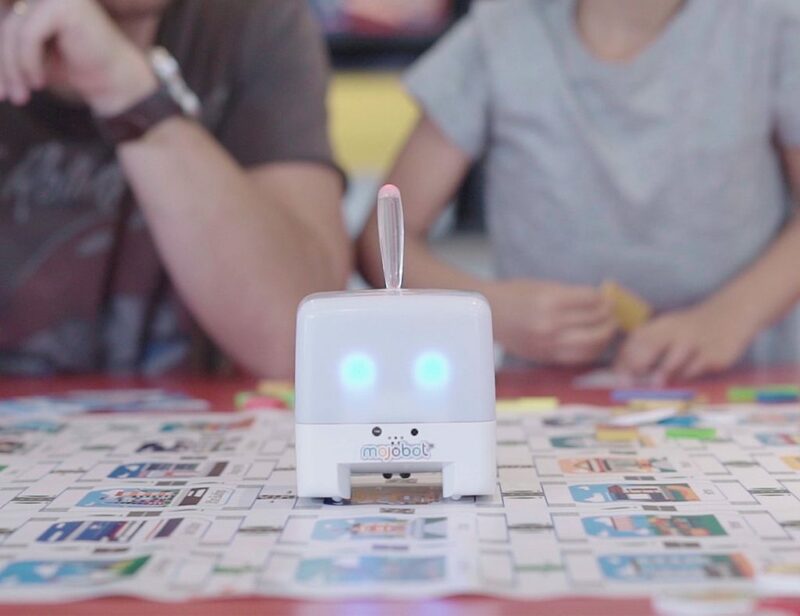 Likewise, it’s BPA and FDA approved as well.